I have fairly light eyebrows - not quite blonde yet not brunette, I guess a good compromise would be a light ash brown whatever you want to call it finding a decent brow powder in terms of a colour match has been testing to say the least. The most common problem I have found is that light or blonde aimed brow products tend to have an orangey undertone which is in no way flattering or natural for that matter. On a whim I purchased Avon's Perfect Eyebrow Kit which set me back a mere £5 and I haven't looked back. 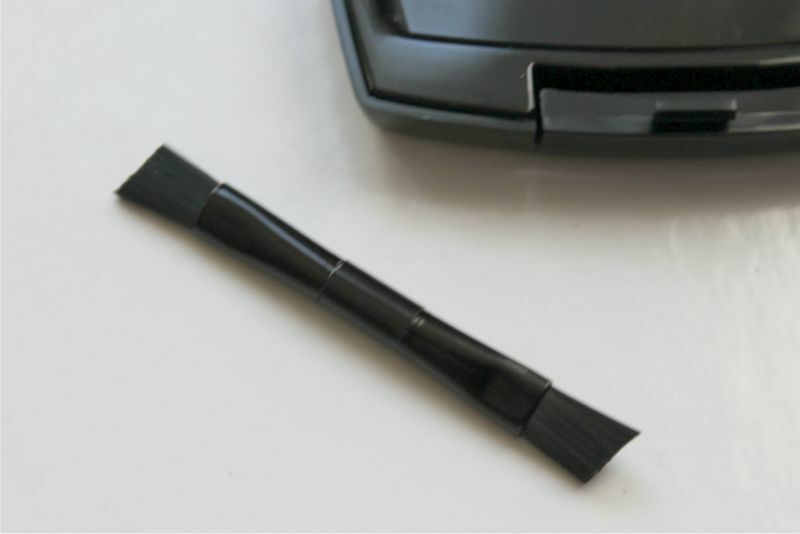 A small black compact contains both a light brown matte powder, a setting wax and a brush (i'm rather impressed that it is angled) to apply it as well as a great sized mirror for on the go applications. 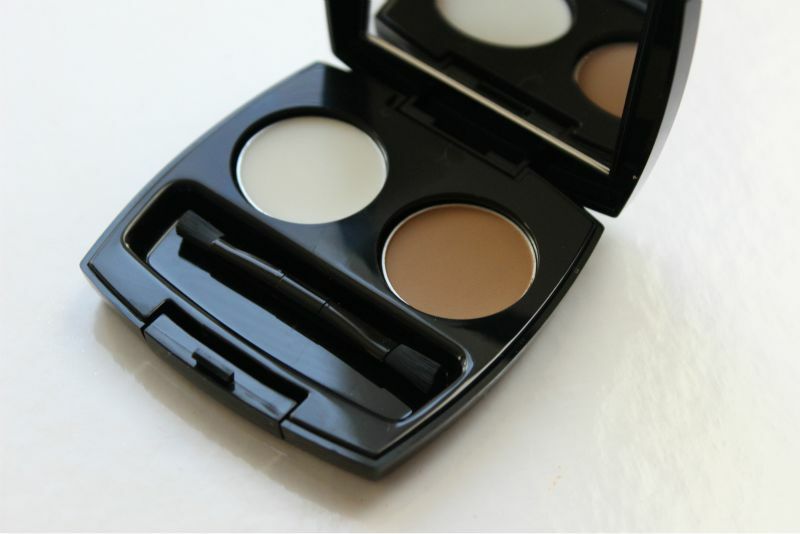 First of all the shade is an almost perfect and more importantly match for my natural brow hair - once applied and brushed out it is not detectable, it simply fills in sparse areas and gives a polished effect which is all I set out to achieve. 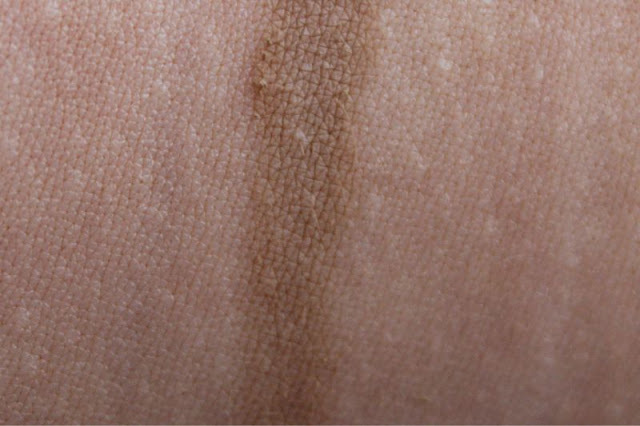 Now there is some debate on how you should apply eyebrow wax - some say before to sculpt the brow hairs and to give the powder something to attach to, others afterwards to set the powder and some even mix the two and apply. The idea is that wax can seal the powder making it waterproof and hopefully sweatproof resulting in prolonged wear. Personally I don't often bother with wax in the past I swore by a wax pencil but over the last few months I have switched to a brow gel as the result is more natural which is much more my style. 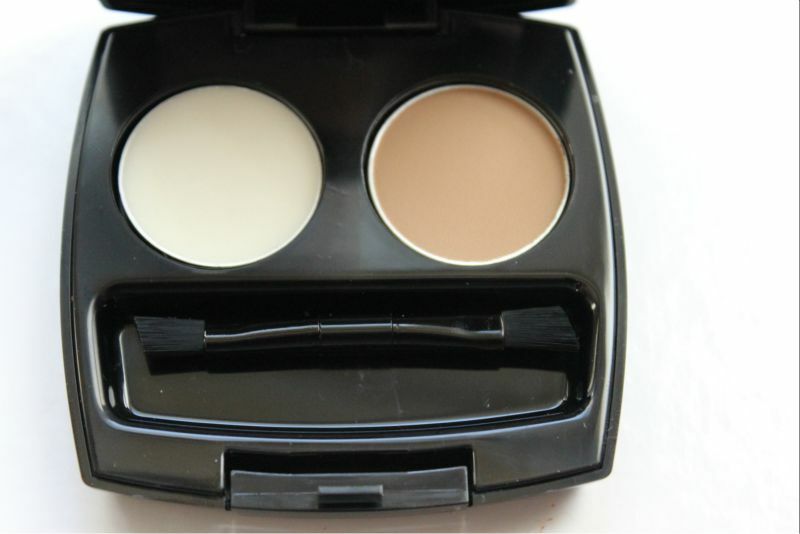 Online this little duo is £7 (the offers change constantly so I'm willing to bet it will be reduced soon enough) and I can't recommend it enough, well the powder section at least for those like myself who have fair eyebrows that are troublesome to colour match. I've been looking to try a powder eyebrow product and this one sounds great. I'm currently using Soap & Glory's Archery pencil/pen duo which is pretty good and a great blonde hair colour match. This looks quite good, I'm the same as you not blond but not brown, so hard to match up! I never bother with the wax parts in these kits, the often look too much! This looks great! Will have to find a darker version! Looks really similar to the elf eyebrow kit in ash, and I love that one its about £3 I think. Might have to try this one out too!! Thats exactly what I thought, although it's a bit light for me. Thinking of getting this one too now, hope they have a darker version!! I love how cheap this is!